"New regulation requires motorcycle owners to install 75 MPH governor by January 2017"
Will the federal government require devices to slow down motorcycles? By Nick Reid on Sunday, April 2nd, 2017 at 6:00 a.m.
Springtime in New Hampshire means motorcyclists are itching to hit the state’s scenic, winding roads. But if they trusted a widely distributed news article last year, they might think they need to install a device that limits their motorcycle to 75 mph – per a federal government regulation – before they can ride. 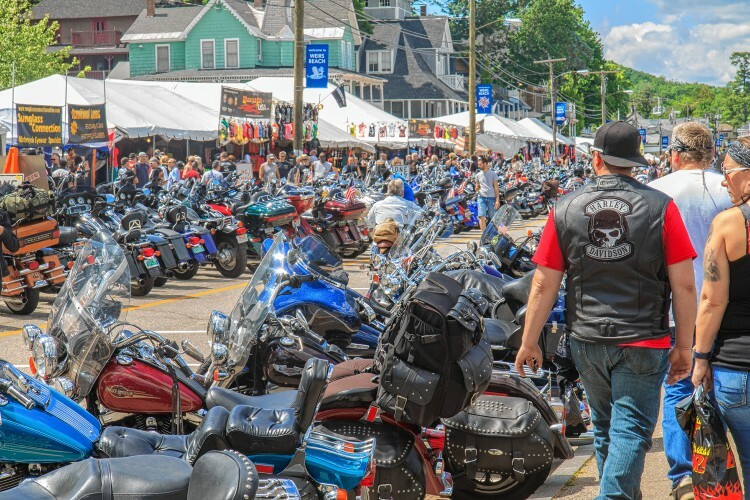 Since the Granite State has the second-highest motorcycle ownership rate nationwide – one bike for every 17 people – a mechanical requirement imposed by the federal Department of Transportation would hit the state especially hard. An estimated $35 price tag for the speed governors would cost New Hampshire’s motorcycle riders more than $2.5 million to bring all 73,000 bikes registered statewide into compliance. It would cost hundreds of millions of dollars to bring the 8 million-plus motorcycles across the United States into compliance, based on the article published by Associated Media Coverage. Despite the alarm, there was never any such rule proposed, much less mandated. The apparent news story with the headline ""New regulation requires motorcycle owners to install 75 MPH governor by January 2017," wasn’t true. There was no requirement to install speed governors, and the article’s lone quoted source, James Littleton, a purported representative of the DOT, doesn’t appear to exist. Nevertheless, it reached nearly 10,000 people – perhaps more though social media – within a matter of days, according to a cached version of the article, which was subsequently removed. Maybe those readers – 5,500 of whom clicked the like button on the Associated Media Coverage website – should have slowed down. In addition to removing the article, the website Associated Media Coverage appears to have rebranded itself. Its old URL now redirects to a page called The Seattle Tribune. It also adopted a marginally less-confident tagline: its old motto "News You Can Trust" is now simply "Informing the Nation." The Seattle Tribune describes itself as "a news and entertainment satire web publication … Any resemblance to the truth is purely coincidental." It has no association to the 126-year-old newspaper, The Seattle Times. 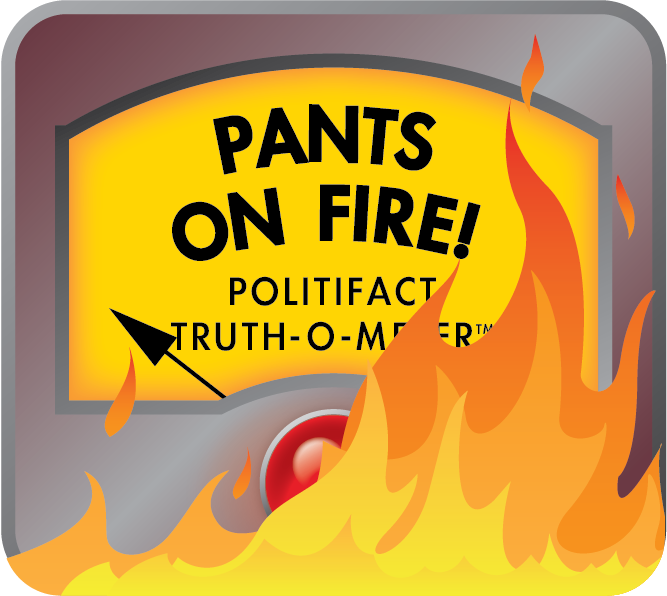 PolitiFact New Hampshire decided to examine this claim as part of the inaugural International Fact-Checking Day, April 2, 2017. Organizers at Poynter.org describe the day as "not a single event but a rallying cry for more facts - and fact-checking - in politics, journalism, and everyday life." "The sensational claim was one of several hoaxes recently promulgated by the Associated Media Coverage fake news site, the most popular of which pertained to purported laws that would affect specific subsets of the population (such as motorcyclists or e-cigarette users)," Snopes wrote. If its goal was to rile up one of those subsets – and thereby drive clicks to the website – it worked on at least one motorcycling forum, DungBeetleBikers.com. A user called Prickle posted the verbatim article two days after it first appeared July 31, 2016. An Australian user called Roo promptly responded to the made-up spokesman’s reasoning that the speed limits would promote safety: "Per capita exposure to road trauma on a motorcycle is always going to be much higher than say that of cage drivers," Roo wrote, referring to non-biker motorists as "cage drivers" and continuing indignantly, "So, cages are exempt? That makes sense, dunnit?" It turns out speed limiters, or governors, are a real thing. You can buy them online for cars, motorcycles and ATVs, but the cost is usually a few hundred dollars, not the "subsidized cost" of $35 as the article states. The article goes on to make a couple of other assertions that are easily disproved. The first tries to peg the number of annual motorcycle fatalities: "... each year approximately 8,265 motorcycle fatalities occur throughout the United States." Actually, 4,693 motorcyclists died in the U.S. last year, according to the Insurance Institute for Highway Safety, which analyzed data from the U.S. Department of Transportation's Fatality Analysis Reporting System.The peak years for motorcycle fatalities in 1980 and 2008 never topped 5,112. The second assertion is that 73 percent of motorcycle fatalities "are the result of motorcyclists driving at unsafe speeds." Wrong again. Data from the National Highway Traffic Safety Administration reports that only 33 percent of all motorcycle riders involved in fatal crashes were speeding, according to an analysis by the Insurance Information Institute. In both cases, the figures cited in the article are nearly double the numbers put forth by authorities. When Snopes assessed this claim last August, it noted that Associated Media Coverage, unlike the Seattle Tribune, didn’t identify itself as "fake news" or a satirical website. "While many fake news sites include disclaimer notices informing readers that their content is not credible, Associated Media Coverage does not. As such, many of the less ostentatious claims (such as the 75 MPH motorcycle speed governor one) spread on social media amid a targeted audience," Snopes wrote. Bottom line: The only thing bikers need to worry about if they go over 75 mph is a speeding ticket. The website Associated Media Coverage claimed the federal Department of Transportation was forcing motorcycle owners to install speed governors on their motorcycles that would limit their max speeds to 75 mph. That assertion was never true and was sourced to a made-up federal government official. Supporting statistics that the phony spokesman cited also exaggerated the number of motorcycle fatalities each year and the propensity for speeding among people killed in those crashes. The website did not identify itself as a purveyor of fake news, and some motorcyclists took the bait. We rate the claim Pants on Fire! Published: Sunday, April 2nd, 2017 at 6:00 a.m.
Cached version of original article, "New Regulation Requires Motorcycle Owners To Install 75 MPH Governor By January 2017," hosted by the Internet Archive’s Wayback Machine, accessed March 29, 2017. Motley Fool, "50 States Ranked for Highest Motorcycle Ownership," accessed March 29, 2017.